Transport Operator Licensing takes operators through the whole process of licensing, looking at when licences are required, giving advice on applying for such licences, describing the undertakings that form part of the application, the systems that should be put in place to stay within the undertakings, as well as illustrating what happens when difficulties arise and how to deal with them. The text is simply and clearly written, so that it can be easily followed by both operators and transport managers. There are multiple examples within the text to consolidate understanding of the topic. Appendices contain sample application forms with useful tips and advice on how to fill them in. 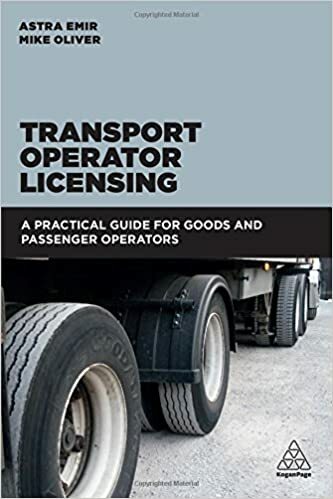 This invaluable guide for operators is easy to use, and sets out obligations in a clear manner, illustrating how to plan and operate a licence, whilst staying within the law.